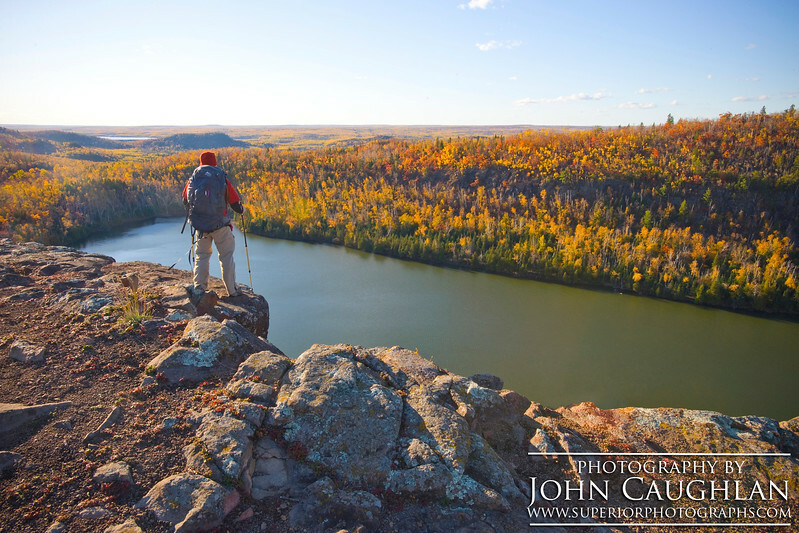 My name is John Caughlan and I am the owner of Superior Photographs. Growing up in northern Minnesota I developed a deep appreciation and love for the outdoors. Then I discovered Minnesota's North Shore, or should I say it discovered me. I started to backpack, and fueled with curiosity and my need to explore, photography became my creative outlet. In order to capture that perfect image I fully immerse myself into my surroundings. This means braving blizzards, enduring floods, and camping in sub-zero temperatures. I continually challenge myself and my art. I am also humbled by my heightened awareness of the sobering reality that I am capturing more than just images with my simple camera, but I am capturing a small glimpse of the Creator as revealed through His creation. Job 37:5-7, "God thunders wonderfully with His voice, He does great things beyond our understanding. He says to the snow, ‘Fall on the earth’ likewise to the light rain, also to the downpour. He brings all human activity to a stop, so that everyone He has made can know it." Photography has given me the opportunity to "stop" and "know it." I hope my images reveal the character of the Infinite. Thanks for visiting my website. All of the images on my website are available for purchase. Please email or call if you would like to place an order.